Add a spark to your game with the Head Spark Elite squash racket. 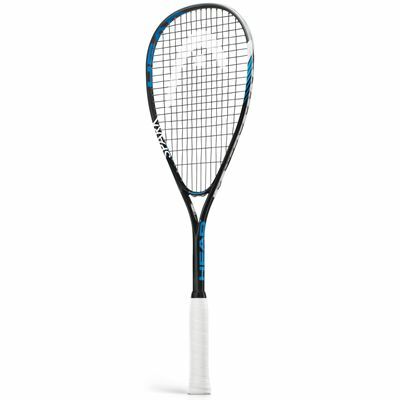 It boasts the Amplified Fibre technology (AFT) that increases power by making the racket stiffer, which combines with the good sized 75.2in2 (485cm2) head. The frame weighs 190g (6.7oz) and has a head light balance for easier manoeuvrability. The head’s 14x19 string pattern is ready strung with a synthetic gut string and a full cover is included for the racquet’s protection. for submitting product review about Head Spark Elite Squash Racket.